In this week’s Industry Perspectives, S&C Electric’s David Chiesa explains how microgrids and feeders can work together to help reconfigure the grid for bi-directional power flow. When the grid was established more than a hundred years ago, power providers couldn’t have fathomed the amount of energy we use today. However, while our use of the grid is much different than it was a hundred years ago, the infrastructure is largely the same. Now that we have the means and the need to make the grid better, that’s all about to change. 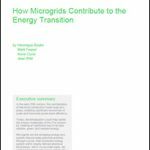 Microgrid projects strengthen the grid, and their increasingly rapid deployment will advance the system as we know it. The ‘keepers’ of the grid, our utilities, acknowledge the status quo is coming to an end. They are experimenting with microgrids by starting with small islanding systems. Their recent successes are showing the remarkable benefits microgrids can have when connected to the main grid. But first, a history lesson. Power providers initially configured our nation’s electric grid to rely on energy generated where people used it. While this was practical, it wasn’t economical or scalable for the masses. To solve these problems, power providers set generation in the middle of the old grid and distributed the power outward, transforming our way of life. Fast-forward to 2017. Things have changed. We are in the middle of another transformation. Distributed generation is now affordable, and prices are still dropping; the future of generation is at the edge of the grid, radiating inward. While progress is being made, changes pose challenges, because we’re still relying on old grid infrastructure and frameworks. Distribution feeders in the old grid only distribute centralized energy to customers in one direction. Those same feeders must now collect locally generated energy and distribute it in directions the feeder was not designed to accommodate. Reconfiguring the grid for bi-directional power flow is like turning a one-way street into a two-way thoroughfare. Without accommodations, traffic jams and accidents will occur, resulting in reduced reliability for customers. No one wants that, and today’s customers won’t tolerate it. Microgrids integrated into feeders have been even more successful in addressing this problem than we expected. The benefits from microgrids extend beyond just providing end users and utilities with more resilient power; they represent a distribution-engineering tool that we haven’t seen before. This tool doesn’t simply offer a quick fix – it has the longevity to provide significant benefits well into the future. This long-term approach to addressing a paradigm shift using microgrids is what will keep utilities relevant for many years to come. Ameren, a Midwestern utility, recognized the importance of planning for the future with its recently energized microgrid in Champaign, Illinois, just outside the University of Illinois campus. Many utilities face the reality that energy is now being generated and stored economically past substations on the medium-voltage distribution level. Forward-thinking utilities like Ameren are anticipating how these distributed energy resources will affect the grid. More specifically, they are planning for how they can use these resources to enhance their reliability and quality of service for their customers. Many utilities face the reality that energy is now being generated and stored economically past substations on the medium-voltage distribution level. One of Ameren’s goals with its microgrid was to peer into the future of the distribution system. The utility wanted to test a microgrid that would supply residential customers and its own Technology Applications Center with a variety of distributed generation assets: solar, wind, and natural gas power, as well as battery energy storage. To accomplish its goals, Ameren partnered with S&C and S&C’s wholly owned subsidiary, IPERC, which provided the intelligent automation and control systems, to build a 12-kV microgrid. Ameren is one of the first utilities to take action on this progressive, forward-looking vision. Many utilities have added smart technology to the grid over the last decade, but few have taken planning for the future grid as far as Ameren. Ameren has moved quickly with system-wide deployments of new technologies other utilities have agonized over. For example, Ameren has the second-largest fleet of distribution automation equipment in the U.S., so it should come as no surprise that Ameren is leading the way in microgrids as well. There is little doubt that distributed generation will replace many of the centralized generating assets in the U.S. It is a hard trend that has many types of momentum driving it. 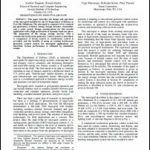 This is leading directly to improved economics for distributed generation (DEG). This shift also makes the price of deploying a microgrid much more economical. The key idea is that scale is no longer required to make generation assets affordable. Distributed electric power generation is the new reality. The next natural step after that is to surround them with microgrids. The new reality is that as distributed generation assets proliferate, microgrids are expected to grow in tandem. If we accept that distributed generation is the new reality, then we have to find ways to fix the issues that occur when we ask ‘old grid’ distribution feeders that were essentially ‘one-way streets’ to accommodate two-way electricity flow. If we don’t find a way to do that, the utility industry would have a huge capital investment to make in system reconstruction. The answer to this question of ‘how’ is microgrids. In other words, if we adopt microgrids in conjunction with distributed generation, we will need to make fewer modifications to our ‘old grid’ infrastructure. Now that we know we don’t need to redesign the old grid to accommodate our new reality, everyone wins! We can get more reliable, more resilient, cleaner, and higher-quality electrical service at a lower price. That’s a goal worth achieving. 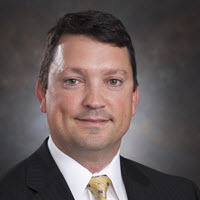 David Chiesa is senior director, business development: microgrids, renewables, energy storage and mission critical applications at S&C Electric Company.